Prior to its abolition in June 2014, the Maldivian Ministry of Transport and Communications oversaw all matters relating to transport and communications, including policy making, and planning of land, maritime, and aviation transport. (3) placed the Communication Authority of Maldives under the Ministry of Home Affairs. Although problems emerging in air and land transport are less central to addressing connectivity issues, upgrading of air transport facilities is important to cater to the expected growth in tourist arrivals and help improve mobility across the various islands. 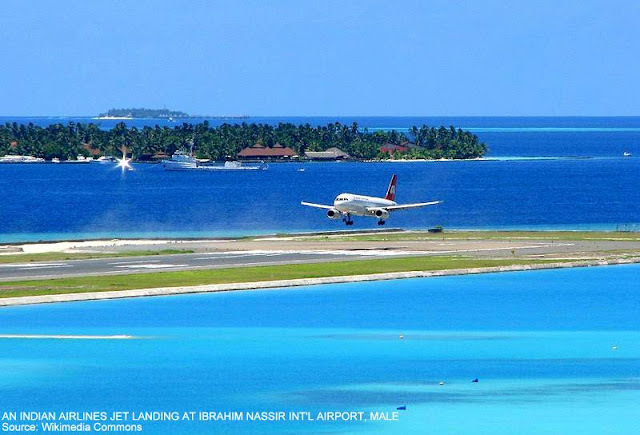 Most international tourist traffic arrives at the Ibrahim Nasir International Airport (INIA), which has only a single runway and is operating near or at its maximum capacity. One other international airport is located in Gan, but is sparingly used. There are also seven regional airports strategically located in the northern, central, and southern parts of the country and a few domestic airports (Table 2.6). Domestic flights are mainly used to transport tourists to resorts; cargo is transferred by sea transport. Flight availability is not an issue from Malé to the bigger atolls as domestic airline service providers have regular flights to the domestic airports. Air fares are significantly higher than sea fares. Airport activity increased significantly during the last 2 decades, driven by the tourism sector (Figure 2.8). Increase in passengers and cargo handled by the INIA have been substantial. The government is concerned about whether existing infrastructure can keep pace with the expected growth of tourism. An earlier projection suggested passenger traffic in the INIA would reach 3.2 million by 2015, 4.4 million by 2025, and 5.2 million in 2035, well above the current capacity of 3.0 million passengers per annum. Cargo traffic was also projected to increase sharply between 2005 and 2035—from 39 million kilograms (kg) in 2015 to 56 million kg in 2025 and 76 million kg in 2035 (AECOM and GMD Male International Airport Pvt. Ltd 2011). 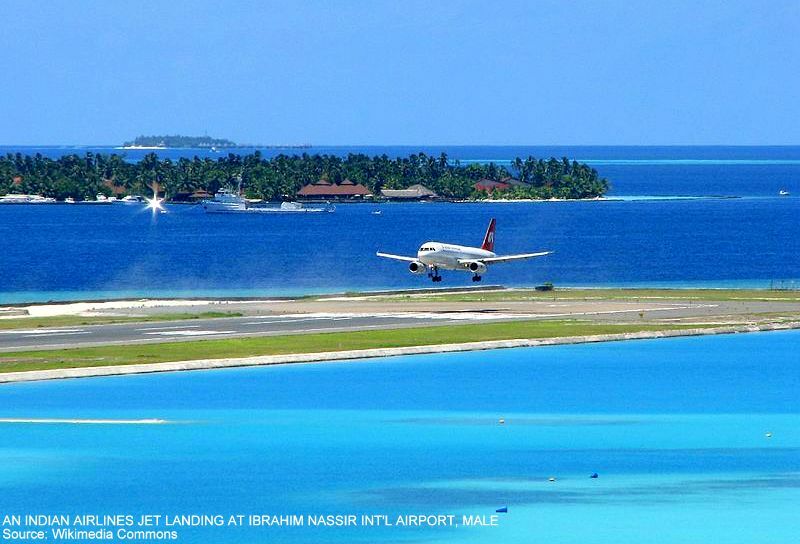 The expansion of INIA facilities is constrained mainly by the availability of land and capital. In response to the capital constraint, the government privatized the INIA in 2010; however, implementation of the 25-year concession agreement with GMR Group India and Malaysia Airports Berhad consortium was terminated following a change in government in 2012. The government regained control of the INIA on 27 November 2012. Although the handover went smoothly, the government suffered a setback when the international arbitration tribunal decided in favor of the infrastructure developer, and ruled the concession was valid and that government was liable to pay the damages. This delayed the planned airport development and, more importantly, the contract termination sent a negative signal to prospective investors about the sanctity of contracts and the rule of law, which are vital underpinnings for attracting large scale funds from private sources for infrastructure related development. The Maldives, a chain of 26 coral atolls to India’s southwest, is one of the smallest countries in Asia and the Pacific by population and land area. Its estimated 341,200 people are widely dispersed over 188 inhabited islands across an archipelago more than 800 kilometers long and 130 kilometers wide. The capital city, Malé, is home to one-third of the people, yet has a total land area of less than 2 square kilometers.